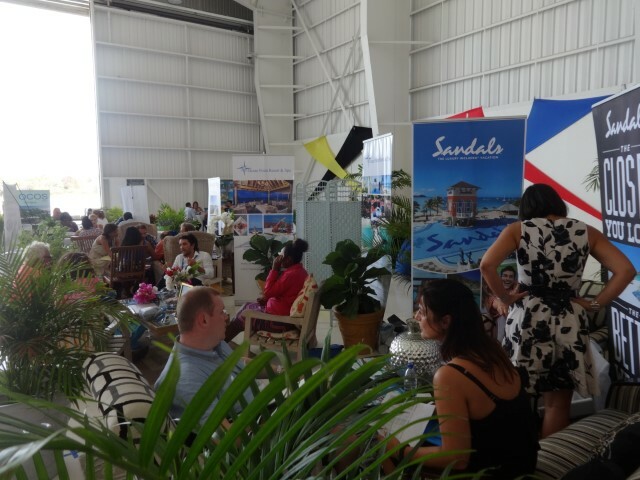 Record Number of Tour Operators Register for Showcase Antigua Barbuda…The Third Edition. Nearly forty major Tour Operators (TO’s) from the United Kingdom, Europe, and North America, will converge on the Jolly Beach Resort and Spa for the third installation of Showcase Antigua/Barbuda to be held on May 21st 2016. Showcase Antigua/Barbuda held in partnership with the Antigua and Barbuda Tourism Authority (ABTA) and the Antigua Hotels and Tourist Association (AHTA), provides an amazing opportunity for tour operators worldwide, to converge and discuss business partnerships directly with the hotel owners and tourism industry suppliers from Antigua and Barbuda and the wider Caribbean region. Tourism Officials in Antigua and Barbuda will use the event to promote new hotel projects for the destination, additional airlift, as well as highlight infrastructural developments to include a modern airport terminal, which opened in August 2015 with increased airport capacity. For 2016, as well as engaging in meetings with owners and business partners, Showcase Antigua and Barbuda will also feature exclusive networking events attended by the Minister of Tourism the Hon. Asot Michael and other senior tourism officials. According to the General Manager of the AHTA, Neil Forrester, this year’s event has seen record numbers in terms of tour operator registration and this has made the Antigua Barbuda event the largest in the North Eastern Caribbean. The Antigua and Barbuda Tourism Authority under the auspices of the Hon. Minister of Tourism, the Hon. Asot Michael will be rolling out the red carpet of welcome with a carnival themed cocktail for the numerous prestigious TO’s set to attend Saturday’s main event at the Ocean Point Resort and Spa in Hodge’s Bay tomorrow (FRI), featuring entertainment by the Halcyon Steel Orchestra, The Antigua Dance Academy, Fire Dancers and Costumes by Myst Carnival will be displayed by live mannequins.